Jack Kloppenburg is a Professor in the Department of Community and Environmental Sociology at the University of Wisconsin-Madison. He is Co-Director of the Center for Integrated Agricultural Systems, Co-Director of the Program on Agricultural Technology Studies, and Director of the GreenHouse Residential Learning Community. 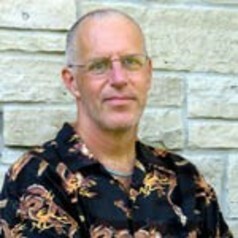 He is also affiliated with the Nelson Institute for Environmental Studies and the Agroecology Program. His research has involved study of the social impacts of biotechnology, the emergence of managed grazing networks in Wisconsin's dairy industry, and the global controversy over access to and control over genetic resources. In his work on the "foodshed", he has envisioned the emergence of a sustainable food system founded on local/regional food production, regional reinvestment of capital, local job creation, the strength of community institutions, and direct democratic participation in the local food economy. He is currently excited by the potential of the growing movement for "food sovereignty" and by the possibilities of applying "open source? principles in the biosciences. He is a founder and board member of the REAP Food Group, a non-profit organization that publishes an annual Farm Fresh Atlas, organizes an annual Food For Thought Festival, has developed the Wisconsin Homegrown Lunch farm-to school project, and inaugurated a "Buy Fresh, Buy Local" initiative for Southern Wisconsin.